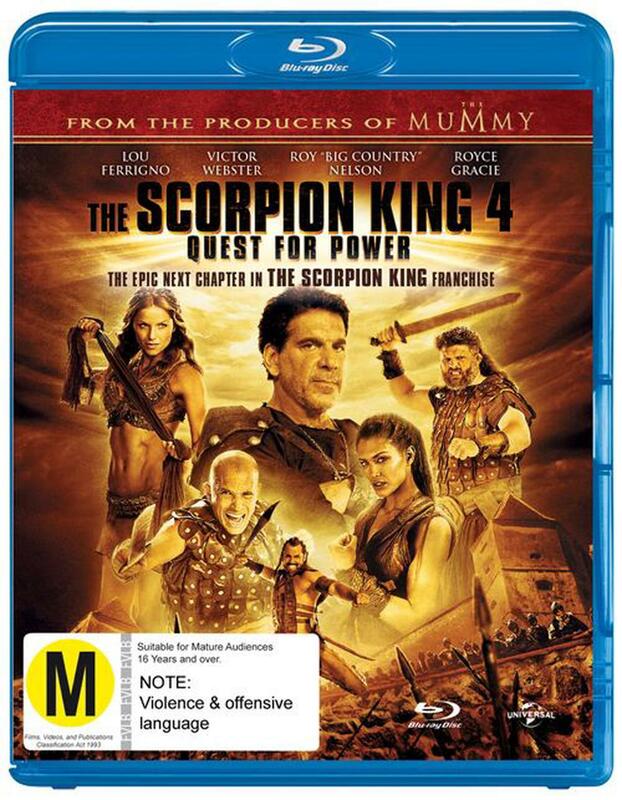 The Scorpion King 4: Quest For Power Is A 2015 Direct-To-Video Film. Victor Webster (The Scorpion King: The Battle For Redemption) Returns, Embarking On His Most Dangerous Assignment Ever In An Attempt To Bring Lasting Peace To His Troubled Land. When The King Of Norvania Is Assassinated, The Evil Heir To The Throne Frames Mathayus And Sends An Entire Kingdom Of Soldiers After Him. Mathayus' (Victor Webster) Only Allies Are A Mysterious Woman And Her Unconventional Father, Whose Primitive Science May Hold The Key To Disrupting The Evil Ruler'S Quest For An Ancient And Unstoppable Mystical Power.